Our new 2018 and up Jeep Wrangler JL Overland Plus suspension lift systems are designed to provide The Ultimate in on road performance. These are complete bolt on systems that are fully adjustable and can be installed using basic shop tools. 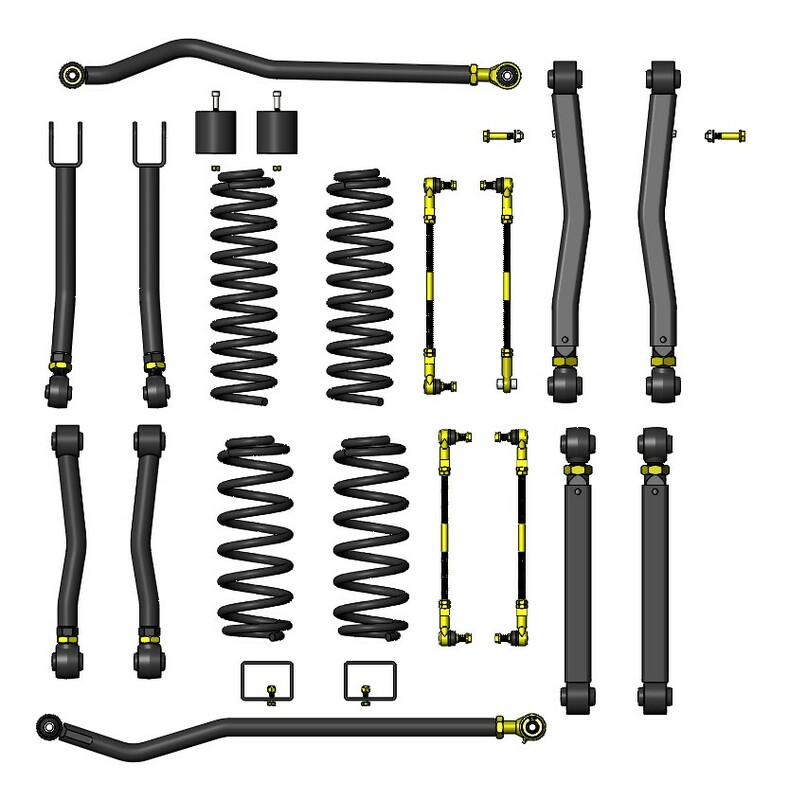 The Overland Plus mid-arm system has adjustable control arms front and rear, adjustable track bars front and rear, adjustable sway bar end links front and rear, bump stops front and rear, and all four coils. A system engineered with strength and reliability as a top priority. The system include eight adjustable control arms, which carry a lifetime warranty against bending or breaking. The lower front and rear upper arms are dog legged for tire clearance. They are bent properly so the joints are in line at both ends. 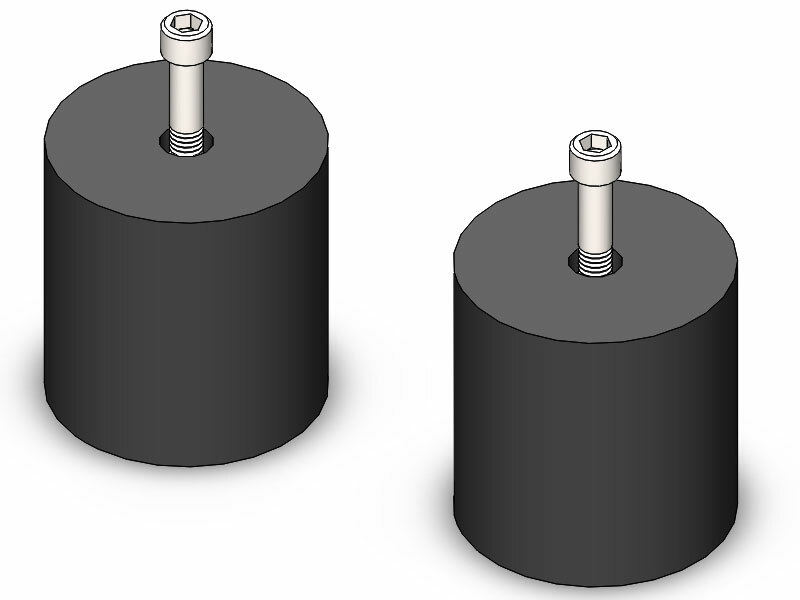 Our Overland Plus arms feature our new dual durometer self-centering, maintenance free Giiro joint bushings. The Giiro is also used at one end of our adjustable track bars front and rear. The other end has a johnny joint for superior flex, and with a 5 inch long 1 inch shank, you have the maximum adjustment necessary, and of course come with our lifetime warranty. With our 2.5 inch coils, bumpstops, adjustable end links, your 2018 and up JL Rubicon is ready for 37 inch tires. A Sport or Sahara will fit 35s, and both options require proper rim backspacing to clear. Note: 1. Shocks are optional and we recommend Fox or Radflo. 2. We recommend 4.75 back spacing.